A high energy supplement incorporating essential vitamins, minerals and trace elements. 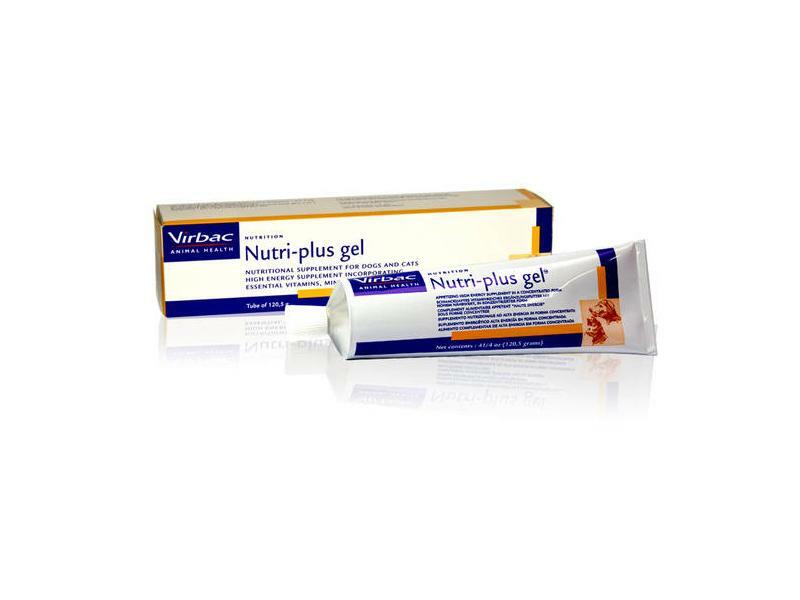 Nutri-plus gel is especially recommended for rapidly growing young animals, working dogs, pregnant and lactating females, maintenance of healthy skin and coat, or recovery following illness and surgery. Vitamin A 17635 iu, Vitamin D 882iu, Vitamin E 106iu, Thiamine HCl (B1) 35.25mg, Riboflavin (B2) 3.5mg, Pyridoxine HCl(B6) 17.6mg, Cyanocobalamin (B12) 32.25mcg, Nicotinamide 35.25mg, Calcium pantothenate 32.25mg, Folic acid 3.5mg, Iron 8.8mg, Iodine 8.8mg, Manganese 17.65mg, Magnesium 7mg. give 1-2 teaspoons (10cm of gel) per 5kg bodyweight per day. If given as principal source of food, give 2-4 teaspoons per 5kg bodyweight per day. For easy feeding put a small quantity in the animals mouth before proceeding with the recommended dose. Some cats may prefer to have Nutri-plus gel mixed in the daily ration. 1 teaspoon = 5ml. Below are some recent questions we've received regarding Nutri-Plus Gel, including answers from our team. Our 7 year old Norweigan Forest Cat has been diagnosed with CKD with Proteinurea and high globulin ( protein in blood). He is also borderline anemic which is why I would like to give him NutriGel as a "pick me up". He is on Semintra for the Proteinurea and Famotidine to control acid although only 2 more days of this. Also receiving B12 injection from the vets. He does like the gel and feel he needs the boost but wanted to double check its ok to use for CKD cat. We are trying to keep him on low protein and low phosphorus diet. The main thing for your cat is probably a low protein, low phosphorus diet along with the other products you are giving. 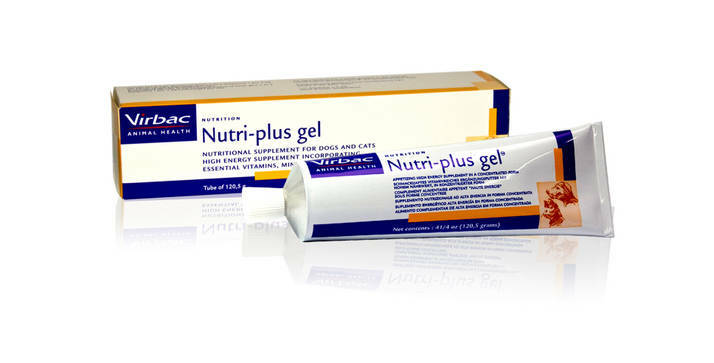 The Nutri-Plus Gel is OK to give if a "pick-me-up" is needed on a particular occasion, but it might not be a good idea on a regular basis. It is high in energy and might leave him feeling less inclined to eat his normal food. I think if you do use it the vitamin and energy content could be a definite help, but you should ensure that he is still eating his appropriate kidney diet properly. The kidney diet will have a full range of all the nutrients he needs in it, so really that should be the best food for him.